Adorable cottage home located in Porters Pointe neighborhood in the Porters Neck area. 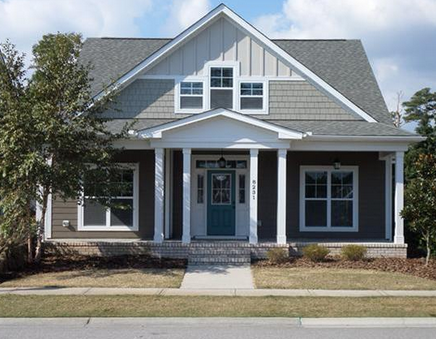 Built in 2011, this four bedroom, three bath home is move-in ready. The two-story house is situated on 0.15 beautifully landscaped acres. The landscape sprinkler system will make maintaining a green lawn a breeze during the hot summer months. Sidewalk right outside the front door so you can walk around this charming neighborhood. Or better yet, walk on over to the community pool. Besides the pool, the Homeowners Association Fee includes road maintenance, common area maintenance and management fees. On the first floor of this 2,300 square foot home is the kitchen, dining room, mudroom, laundry room, great room, the master bedroom and bath, one other bedroom and bath, screened porch and garage. The second floor has two bedrooms, one bathroom and a bonus room, perfect for a playroom or lounge. Central air conditioning, along with ceiling fans, will keep you cool in the summer months, and the double pane windows will help keep that cool air inside. The spacious master bedroom has beautiful wide-planked hardwood floors. The coffered ceilings with beadboard give the room extra character, and the master closet boasts built-in wood shelving. The spacious master bathroom has a ceramic tile floor and a ceramic tile walk-in shower. There is a raised double vanity and gorgeous painted beadboard wainscoting throughout. In the mood for a bath instead? Check out the pedestal bathtub. The beautiful and bright kitchen is going to inspire you to cook all your favorite meals. 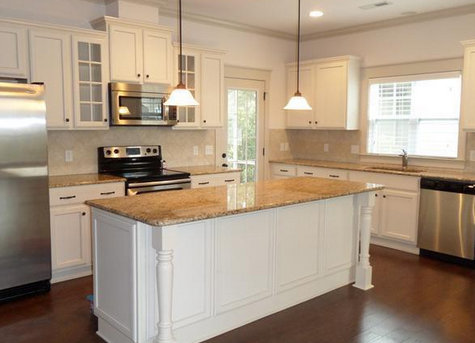 It includes stainless steel appliances, granite countertops and a ceramic tile backsplash. The wide-planked hardwood floors give the room a warm and cozy feeling. Pull a bar stool up to the large island and have a chat with the cook. With ample cabinet space and a pantry, there is no shortage of storage space in this kitchen. Like the kitchen, the great room boasts wide planked hardwood floors. There is a natural gas fireplace between custom built-in bookshelves. Besides the kitchen, this is the heart of the home and a wonderful gathering room with friends and family. The two car garage is accessible from the side of the home. Use the automatic garage door controllers and slip in and out with ease. Also on the backside of the house is a screened in porch where you can curl up with a book or enjoy a late afternoon cocktail with friends.More storage can be found in the mudroom cabinets. Dump your shoes, purses, coats and other outerwear here in an organized fashion.